Who will be Championship Player of the Year? For the last few weeks most football fans when debating Player of the Year have been speaking about Gareth Bale, Robin van Persie and Luis Suarez; this Sunday though the Football League will take centre stage with its annual awards. One of the main awards is the Championship Player of the Year, and this week the three nominees were announced. 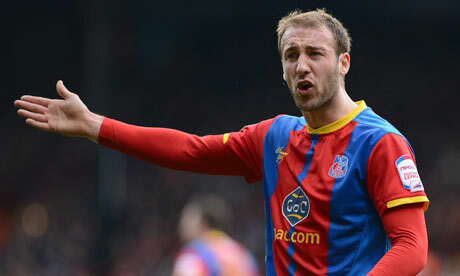 The first nominee is Crystal Palace striker Glenn Murray. Along with Wilfried Zaha, Murray has provided the firepower for Palace’s promotion challenge. Having signed from rivals Brighton in 2011 Murray’s first season at Selhurst Park was disappointing with just seven goals in 44 games. This season though he has come alive with 30 goals in 36 appearances. Murray is good in the air, has great hold-up play and terrific strength. He has a very similar style of play to Rickie Lambert and Grant Holt, who have both thrived at Premier League level and it was rumoured that Roy Hodgson watched Murray along with Zaha in Crystal Palace’s game with Bristol City earlier this season. The Blackpool winger is thoroughly deserving of his nomination. Despite a lot of speculation linking him with moves to Liverpool and Swansea, Ince has managed to keep a high level of performance and continues to be the Tangerines standout player. Ince already has 18 league goals and the second highest assists in the league with 11. These all-round statistics and his high energy style of play probably make Ince favourite for this award, even more so when you consider that he is playing in a team that has been struggling for the last few months. The young Watford striker on loan from Udinese has certainly made a big impact. Vydra has 20 goals already this season, including an incredible run in January where he scored seven goals in four games, including three braces. The scouts have been flocking to Vicarage Road to see him in action. A good turn of pace and clinical finishing has seen Vydra’s value soar and there will be a number of clubs interested if Watford do not get promotion to the Premier League. While they may be in pole position to sign him due to their owners having stakes in both clubs, a valuation of £10 million will not put bigger clubs off and at just 20 years old there is amazing potential in him. On Sunday the League One and League Two player of the year awards will also be decided. In League One the vote should be extremely close. Leon Clarke kept Scunthorpe in the battle for survival pretty much single-handedly in the first half of the season, before a move to Coventry has seen him fire them to within touching distance of the play-offs. After winning the League Two version last year with Swindon, Matt Ritchie finds himself nominated once more. With nine goals and nine assists for the Robins before a deadline day move to Bournemouth he once again proved what an all-round threat he is. The final nominee is Alan Judge of Notts County. At 24 years old Judge has this season proved what an exciting player he could be. Excellent dribbling skills, always taking full-backs on and a bullet of a shot on him has made Judge an exciting player to watch and a move to a Championship club in the summer may be on the cards. In League Two the favourite is surely Tom Pope of Port Vale. With 27 goals in 44 games this season Pope has fired Port Vale to within touching distance of promotion. Just behind Pope in the scoring charts is 37-year-old Jamie Cureton, who once again this season has shown what a natural goal scorer he is with 20 league goals which has helped Exeter into the play-off places. The final nominee is Bradford captain Gary Jones. 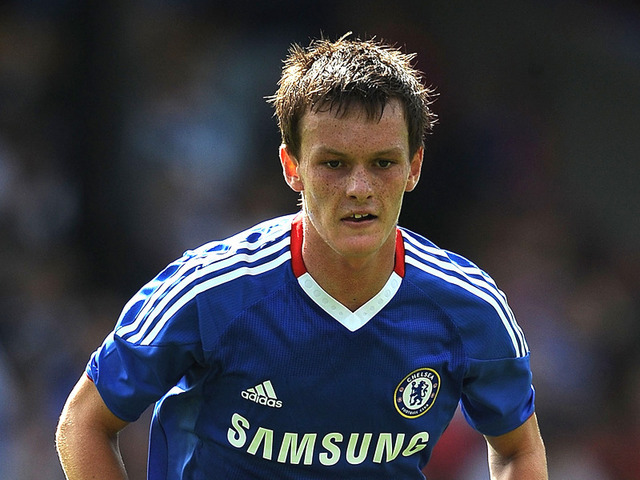 Jones was instrumental in Bradford’s fairy tale run to Wembley in the Capital One Cup and his box-to-box style makes him a useful player at both ends of the pitch. Hands up if you know who is the top scorer in English league football? Not in the Premier League – Luis Suarez falls seven goals short. We are talking about the top scorer across all four divisions. It wouldn’t be a surprise if you haven’t heard of him. He isn’t even the most talked about player at his club. But it is something of a shock that more people aren’t singing his praises. His exploits certainly deserve it. 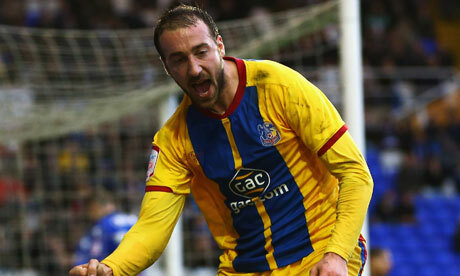 Crystal Palace striker Glenn Murray already has 29 league goals this season. And yet it is his precocious teammate Wilfried Zaha who hogs the headlines. And when observers talk of other Palace players, they mention Yannick Bolasie or Jonny Williams. Somehow, the player who scores all the goals has missed all the headlines. But after years as what we will somewhat lazily term a journeyman, Murray is having the season of his life. And with his Palace side sitting third in the table, one point from automatic promotion, it could get even better. To say that Murray has arrived out of nowhere would be doing him a disservice. Now 29, he has been scoring goals at various levels since his debut for non-league Workington Reds in 2002. After a spell in America, he returned to score nine goals in nine games for Barrow, before winning consecutive promotions with Carlisle United, although this was also his most barren scoring period. A goal every other game for Rochdale and almost the same in three years at Brighton show a man who has been doing what he does for a long time. Only now he is doing it one step away, one place away in fact, from the Premier League. Currently the second highest goal scorer in Europe – or more specifically across the top two divisions in the five leading European leagues – only Lionel Messi has found the net more often than Murray this season. It is a statistic that has reportedly piqued the interest of England manager Roy Hodgson; and one that has no doubt been noticed by a Premier League club or two. His current team will hope he continues to excel under the radar and that the likes of Charlie Austin and Matej Vydra carry on being thrown into the annual rumour mill ahead of him. Many players in the past have had that one great season. Maybe this is Murray’s. Or maybe next year the Eagles will show that you don’t need wonder-kids to have a shot in the Premier League. Sometimes you just need a bloke who knows where the goal is. As Blackburn embark on their Championship campaign, the club’s fans will take some heart from the fact that the squad has been bolstered this summer. However, looking at owners’ Venky’s treatment of manager Steve Kean and approach in the transfer market raises some huge question marks, and further proves that the Indian conglomerate have no idea how to run a football club. Despite some plucky performances and results at times last season, Rovers looked like a relegation contender for the majority of the campaign, and in the end were demoted to the second-tier of English football. The dramatic downturn in the team’s fortunes since the harsh sacking of Sam Allardyce back in December 2010 has been startling, with the club’s fans pinning the blame on the owners and Steve Kean. The Scottish coach was a surprise selection to replace Allardyce given his inexperience, and has had to face a brunt of abuse from the Ewood Park faithful. 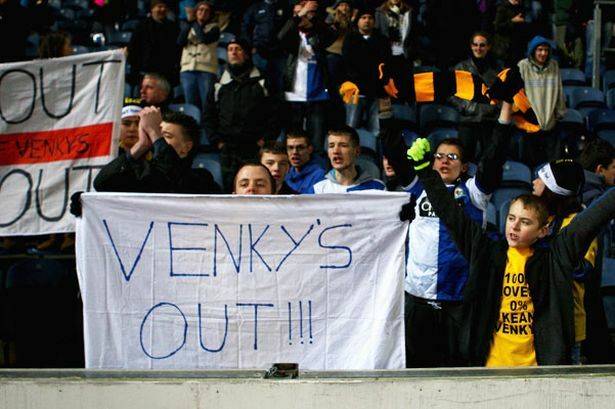 Protests to have Kean sacked and constant dissatisfaction from the fans throughout 2011-12 saw the coach as a favourite to be axed, but Venky’s stood by their man, even after relegation. A bit of loyalty in football can be admired, but after their continued backing of Kean, Venky’s have completely changed their approach. New director of football Shebby Singh has come out and stated that Kean will be sacked if Rovers lose three games in a row this term. Why stand by an inexperienced and under-fire manager for an entire campaign, which results in relegation, and then sack him three games later? In the transfer market Venky’s actions again have been strange. Rovers were in big trouble at the turn of the year, and needed investment in new players in the January transfer market to stand a chance of avoiding the drop. However, the owners parted less than £2 million to bring little-known Anthony Modeste, Bradley Orr and Marcus Olsson to Ewood. Now that the side have been demoted the owners have invested to bring the likes of Danny Murphy, Nuno Gomes, Dickson Etuhu and Leon Best to Lancashire. Although the Rovers fans will welcome the investment, it is six months too late as the club are stuck in the quagmire of the Championship. Blackburn have a great chance of bouncing straight back to the top flight at the first time of asking due to the quality in their squad comparative to other sides in the Championship, but it is clear that the club are being mismanaged. No wonder the protests and frustration continue, however Rovers fans should aim their anger at inept owners rather than an inexperienced trainer. Despite a fantastically entertaining season with a raft of Premier League winners this term, it has been a campaign to forget for some teams and individuals. Euro 2012, the Olympics and the summer transfer window are approaching, and for some 2011-12 could not come to an end quick enough. Here are Ninety Minutes Online’s biggest losers of 2011/12. 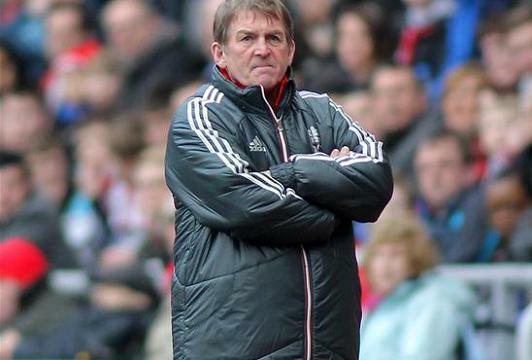 Despite lifting the Carling Cup with victory over Cardiff, 2011/12 has been the worst campaign for Liverpool for quite some time. The Anfield outfit’s fans expected their side to be challenging for a top four berth, but a eighth place finish, 17 points adrift of Tottenham in fourth, has been a massive disappointment. From Fenway Sports Group’s ill-fated home-grown transfer policy, to Luis Suarez’s racism ban, defeat in the FA Cup final to embarrassing home defeats to some of the division’s lesser lights, Liverpool fans will want to forget 2011/12. After leading Porto to an unbeaten league title and lifting the Europa League in 2010/11, Andre Villas Boas was heralded as the next Jose Mourinho and the man to lead Chelsea back to the summit of the Premier League. However, an at times bullish squad rotation system saw the senior players at the club alienated, the Blues floundering outside of the top four and Villas Boas given Roman Abramovich’s axe. The £13 million Chelsea paid Porto for AVB’s services was not rewarded, and the young trainer is still out of work after seeing his stock drop in west London. Wolves have been in a fight to stay in the Premier League over the last number of seasons, but Mick McCarthy has led them to survival and commanded the respect of the squad. Steve Morgan’s decision to sack McCarthy, despite a poor run of form, was an ill-sighted one, and the appointment of assistant Terry Connor a disaster. The Molineux club reportedly interviewed the likes of Alan Curbishley and Steve Bruce for the role, but were reluctant to offer the experienced pair long-term contracts. The appointment of Connor has backfired, with the club finishing bottom with a woeful five wins all season. 2011/12 will be a season to forget for Sir Alex Ferguson and Manchester United. The Old Trafford outfit are known for their will to win and mental toughness at the business end of the season, but the relinquishing of an eight-point lead is sure to give the legendary Scottish manager nightmares for years to come. A lame Champions League exit in the group stages, a 6-1 hammering from City at Old Trafford and FA Cup elimination to Liverpool have been hard to take for the defending champions’ fans. 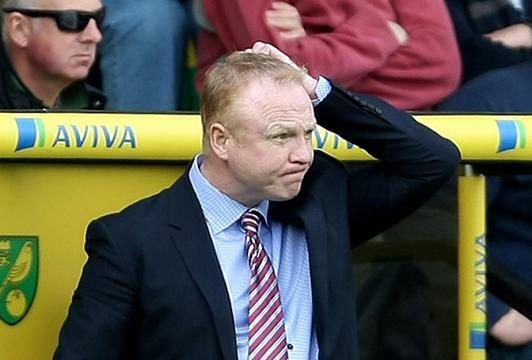 Alex McLeish was a shock appointment at Villa Park last summer given his links to rivals Birmingham City, and the club’s supporters have not warmed to the Scot since. A toothless tally of seven wins, weak defending, a lack of creativity and the division’s second-lowest goal tally have had the Villa fans with their heads in their hands. McLeish’s position as Villa manager must come under scrutiny this summer, but Randy Lerner must also invest in new players if the team are to have a better 2012/13 – Stewart Downing and Ashley Young have simply not been replaced. 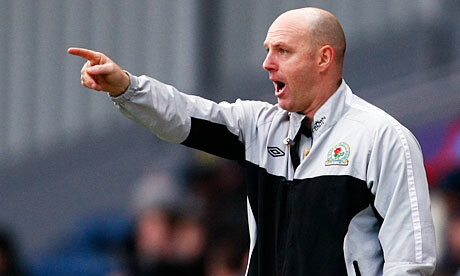 Venkys – With Blackburn relegated this term, Steve Kean has received most of the flack from the media and the club’s fans. However, the Lancashire outfit’s Indian owners Venkys have not given the Scottish coach any funds to spend, and the side are now reportedly in financial trouble. John Terry – Due to stand a court case in July for reportedly racially abusing Anton Ferdinand, the Chelsea skipper has lost the captaincy of his country and there is a train of thought that Terry may be excluded completely from Euro 2012. Add to this a sending off against Barcelona in the Champions League semi-finals for petulantly kneeing Alexis Sanchez, and Terry has had better years. Jermain Defoe – The diminutive striker has proved time and again that he can score goals at the top level, but has simply not been given enough time on the pitch this season. Harry Redknapp’s preference for Emmanuel Adebayor and Rafael van der Vaart could cost Defoe a place at Euro 2012. Jack Wilshere – The talented Arsenal midfielder has not seen one minute of action this season, with consecutive knee cruciate injuries keeping him on the sidelines throughout. Wilshere will also miss Euro 2012 due to injury. Joey Barton – Barton is no doubt talented and able when in the correct mindframe, but stupidity, ill-discipline and a terrible attitude have continued to blight his career. A red card against Manchester City on Sunday cost his team the game and his constant abusive and opinionated Twitter comments should see Mark Hughes ditch his troubled ‘captain’ this summer. It has been a disastrous season for Wolves, with the second half of the season in particular providing heartache for the Molineux faithful. With only 25 points at the time of writing, and the lowly figure of five wins this term, Terry Connor’s men will compete in the Championship next term. However, despite poor form in the league this season, three of the Midlands club’s players are more than able at the top level, and may use Wolves’ demotion as a springboard to greater things. 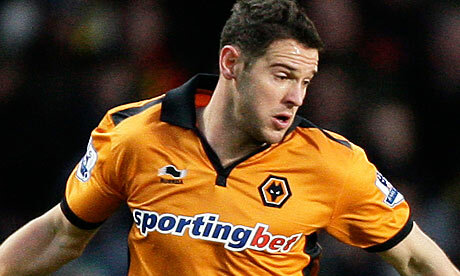 The burly Scottish forward has done well since moving south of the border, firstly with Burnley and then Wolves. Whilst at Hibs the attacker was reportedly being monitored by Real Madrid, much to the surprise of the player and the amusement of opposition fans, but Fletcher proved to have too much quality for the SPL and like many of his countrymen moved down to England. Fletcher’s eye for goal has been apparent since moving to the Premier League, with the striker good in the air and strong in hold up play. Despite a robust physique, the 25-year-old is comfortable and able with the ball at his feet, and the hitman started this campaign in strong goalscoring form. Fletcher has suffered due to a lack of service at times, but given a chance at a bigger club such as Liverpool, could be a bargain signing. The Wales international goalkeeper has impressed both at club and international level, with great shot-stopping ability and good positional sense evident this season. 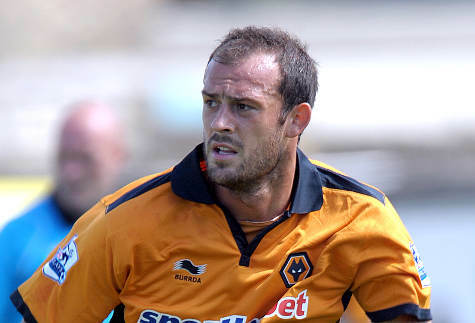 The 25-year-old has matured over six years at Molineux, and without doubt has prevented Wolves from suffering any further this term. With a similar build to Manchester City’s Joe Hart, Hennessey has the ability to grow into one of the division’s best given additional tutelage and the chance to play in big games. 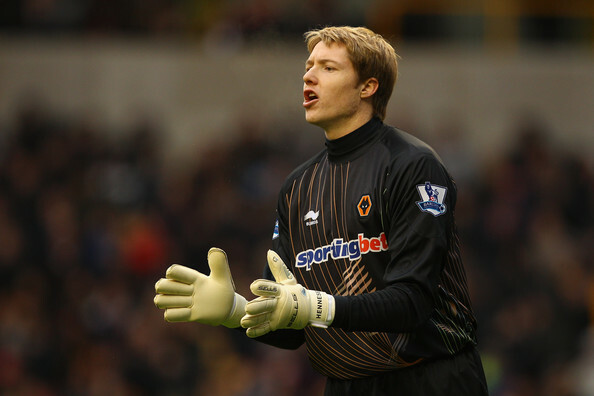 Tottenham may well be in the market for a new stopper due to Brad Friedel’s age, and a move for the Welshman would be a smart and safe move in the summer. One of the star performers in Wolves’ latest stint back in the top flight, Jarvis’ trickery and quality delivery have been one of the positive features of the side’s attacking play. Recognised internationally, Jarvis was given a run-out for England in an international friendly against Ghana in 2011 and could play a role in the national set-up if given a chance at a bigger club. An out-and-out wideman, Jarvis would suit a team like Everton who could do with additional width and service for their attackers. The 25-year-old shows heart and desire in Wolves’ battle against the odds, and has also popped up with seven goals to help their cause this term. 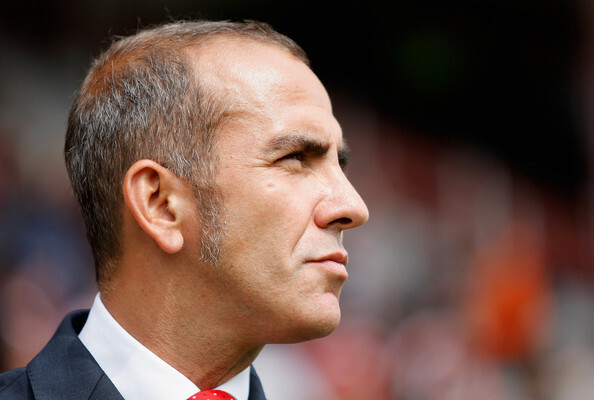 When Paulo Di Canio was appointed Swindon Town manager nearly a year ago many pundits commented that he was destined for failure and that his fiery temperament would cause his downfall. Eleven months on though, Swindon are celebrating one of their best and most exciting seasons in recent memory, clinching the League Two championship with a thumping 5-0 victory over Port Vale in front of very nearly 13,000 fans at the County Ground. Di Canio had to completely rebuild a team who had gone from play-off finalists in League One in 2010 to finishing bottom in 2011. Most of the squad left as the Italian started afresh and attempted to rid the club of the losing mentality and drinking culture that had engulfed the team during the relegation season. With four defeats in their first five league games the critics seemed to being proved right, especially after the spat between Di Canio and striker Leon Clarke. After a home defeat to Southampton in the Carling Cup and with TV cameras watching, the coach and player were involved in a bust up on the sidelines, which spilled over into the tunnel. Di Canio swore that Clarke would never play for him again and the Swindon board backed their manager. 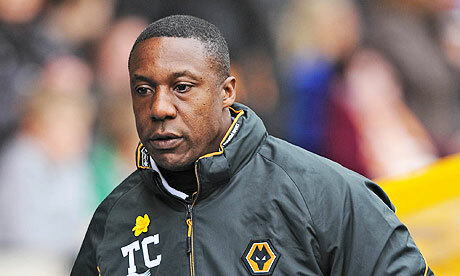 Clarke was loaned out to Chesterfield and Di Canio called a team meeting to improve the unity in his squad. Four days later Swindon responded with a 3-2 victory over then league leaders Rotherham and have never looked back. Whilst it is easy to say that Di Canio is all passion and discipline and almost intimidates his players into performing, this would overlook his tactical ability and knowledge of the game. Moving players into positions they have not played before such as the left-footed Matt Ritchie onto the right of midfield has been rewarded with 11 goals and Ritchie becoming the League Two player of the year. Add to this the case of Alan McCormack; a centre midfielder moved into the centre of defence, which has made Swindon’s goals against record the second lowest across all four divisions. Di Canio’s coaching and organisation of the team has seen them concede just eight league goals at home all season and just one in their last seventeen home league games. An incredible run starting on New Year’s Eve saw Swindon win ten straight league games, which propelled them from seventh in the division to a four point lead at the top that they have never relinquished. It isn’t just in the league that Di Canio has transformed Swindon though, with a fantastic run in the Johnstone’s paint trophy, which saw them reach the final at Wembley where they lost 2-0 to Chesterfield. This season saw Swindon’s best run in the FA cup since 1996 where they reached the fourth round knocking out Huddersfield and winning the Ronnie Radford award for the shock of this season’s competition for beating Premier League Wigan 2-1 in the third round. Discipline and respect is a big part of Di Canio’s management style though, as was shown most recently when he dropped nine players over the space of two games for going out drinking after a victory over Plymouth, even though promotion was not yet secured. He has a ruthless side that has been shown throughout the season when a number of times he has taken players off within the first half for not following his instructions. Di Canio has done all this whilst dealing with the personal tragedy of losing both his parents within six months of each other, but has still shown great professionalism to be pitch side for games within hours of finding out the news. This has further endeared him to Swindon fans and he now joins the list of Swindon managerial legends alongside Glenn Hoddle, Ossie Ardiles and Lou Macari. Not many now would doubt him repeating the feat in League One next season. Race for Premier League survival: Who will stay and who will go? A scramble for survival at the bottom of the Premier League table is keeping five clubs on their toes and pushing them to the peak of their ability: Who will stay and who will go? Probably the only certainty for relegation at this stage; Terry Connor’s side have lost eight of their last ten Premier League games, and with a six-point gap separating them and Blackburn, survival seems a million miles away. Along with their position at the bottom of the table, Wolverhampton Wanderers have a particularly difficult run-in, with Sunderland, Manchester City, and an in-form Everton still to face. Given that the Molineux outfit are in terrible form, it looks like Wolves have no chance. A hard year for Steve Kean has been reflected in Blackburn’s shaky season, but hope can be found in the Rovers’ star men, Yakubu and Junior Hoilett. Although sitting in precarious 19th place, Blackburn will be facing much easier opposition in the next few weeks compared to other relegation candidates. The Lancashire club will come up against a vulnerable Swansea and Tottenham, and will also hope to grab some points against Norwich and Wigan at home. Despite this, Blackburn need to pick up some momentum and get the best out of their danger-man upfront if they are to stave the drop. Although being awarded March’s Premier League Manager of the month award, Owen Coyle has not brought his side out of the drop zone yet; however with a game in-hand Bolton are on the path to survival. Bolton’s starting XI is not the strongest of the bottom five and with a weak attacking force and no prolific goal machine, they need to grit their teeth and play to the best of their ability. With upcoming matches against teams such as Swansea and Aston Villa, the Reebok Stadium side must be optimistic and maybe, just maybe, they could survive another season of top-flight football. A recent run of fantastic form saw Wigan to a 1-0 victory over Premier League champions Manchester United in their last outing, giving the Latics hope. Despite only losing two of their last ten Premier League games, Wigan have one of the hardest run-ins of the bottom five and still have to face opposition such as in-form Arsenal, Fulham, and Newcastle. 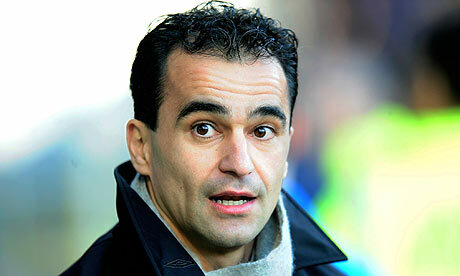 DW Stadium boss Roberto Martinez will hope his side can keep this run of good form up and will take hope from their “historic” victory over Manchester United. If Wigan can now end their goal drought and keep pushing and striving, they might just avoid demotion. A 3-0 win over Swansea City has moved the newly-promoted west London club to 16th. 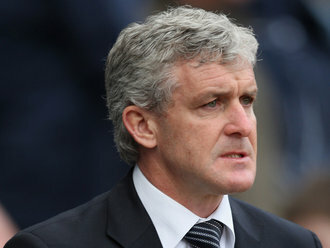 An upturn home form has given Mark Hughes’ side hope after beating Arsenal and Liverpool in consecutive fixtures at Loftus Road. Although having a hard run-in away from home, facing teams such as West Brom, Chelsea and Man City, QPR will hope to claim a scalp or two, and pick up as many points as possible from their home games against Tottenham and Stoke. If they carry on their good-form and keep playing the way they have, QPR could be well on their way to becoming a stable Premier League club. A summer signing from Southampton, 18-year old Alex Oxlade-Chamberlain has made a big impact on Arsene Wenger’s side, making 21 appearances for Arsenal and becoming the youngest English player to score in UEFA Champions League history. Chamberlain has found it hard to secure a regular first team spot, but when he plays he looks sharp, fast and confident on the ball. Alongside a blossoming career in the Premier League, “The Ox” has made eight appearances for the England under-21 team and bagged four goals. 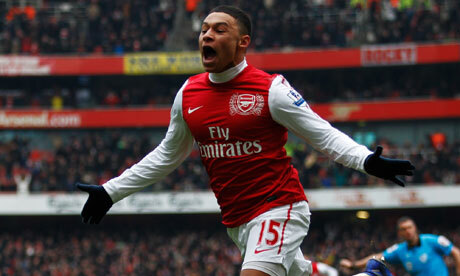 Chamberlain stands a good chance of gaining a place in England’s Euro 2012 squad alongside team-mates Jack Wilshere and Theo Walcott. Another of Arsene Wenger’s wonder teens who has recently impressed on loan at Bolton is Ryo Miyaichi. The 19-year old winger has clocked a 100m time of 10.6 seconds and pairs his speed with fantastic dribbling skills. After joining the club, the Japanese youngster went on loan to Dutch side Feyenoord and impressed on his debut, playing the full 90 minutes and being named Man of the Match. The Dutch media nicknamed him “Ryodinho” (in comparison to Brazilian superstar Ronaldinho). Manchester United’s Paul Pogba is on nearly every big club’s shortlist, impressing scouts with great all-round skills in defence and attack, not to mention a deadly long-shot. The French 19-year old has represented his nation at every level and captained France U16 to victories in the Aegean Cup and the Tournoi du Val-de-Marne. 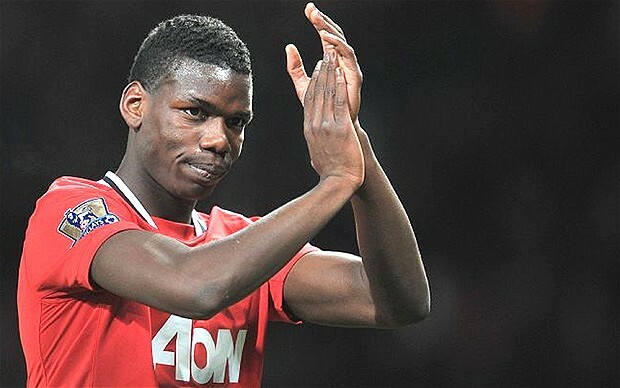 Manchester United boss Sir Alex Ferguson has been desperately trying to get Pogba to sign a new contract after interest from many top-flight clubs, in particular Italian side Juventus. 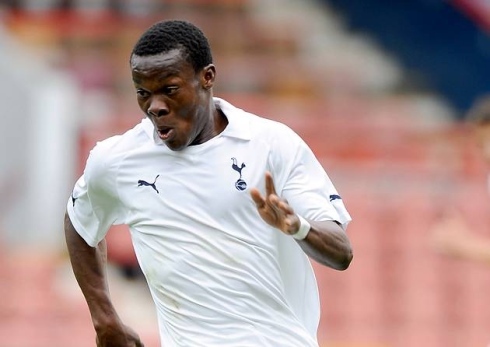 Baby of the bunch, 17-year old Souleymane Coulibaly was first noticed after winning the golden boot at the FIFA U17 World Cup – scoring nine goals in four games for Côte d’Ivoire including a hat-trick against Brazil and four goals against Denmark. ‘Soli’ signed for Tottenham from Italian Club Siena and has been a hit not only in the youth team, but scored on his debut against Brighton & Hove Albion for the senior team. Redknapp hopes the young Ivorian will revive their recently unsuccessful youth squad and a lack of a consistently prolific striker for Tottenham means ‘Soli’ could come into favour sooner than expected. It has been a traumatic week for all concerned with Bolton Wanderers football club. After the horrifying scenes at White Hart Lane last Saturday, the footballing community has held its breath in hope that Fabrice Muamba would overcome what could have been a fatal heart attack, and pull through. The Trotters return to action against Blackburn on Saturday, in a crucial fixture. 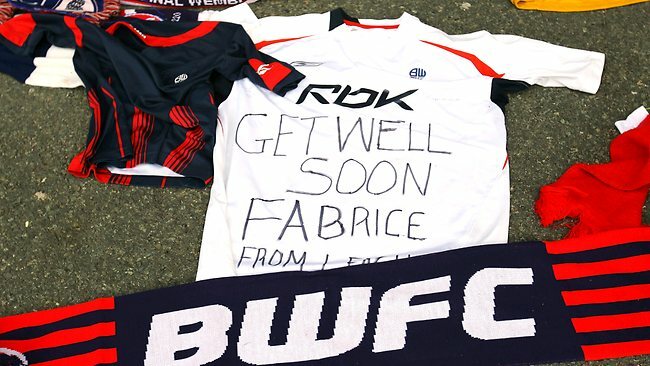 Some things are more important than football, and the fact that Muamba is seemingly on the path to recovery after his near-death experience is the most pivotal news for the Reebok Stadium side. 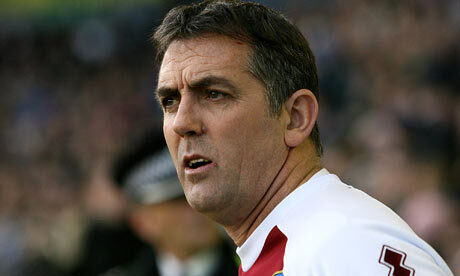 After the Trotters’ game against Aston Villa was rightly postponed in midweek, Owen Coyle’s men return to action against Blackburn this weekend. It is only natural that Muamba will be in the thoughts of the Bolton players when they enter the field of play against Rovers, as it was not easy watching a friend and team-mate struggle for his life at White Hart Lane. The home side should go out and play to win for Muamba when they face Blackburn on Saturday. However, they also need to play for themselves, as their Premier League status is looking increasingly shaky. With QPR’s unexpected comeback victory over Liverpool on Wednesday night, Bolton find themselves in 18th position ahead of this weekend’s fixture list. Blackburn, without any malice, will look to catch Bolton cold this weekend as the home side’s players’ thoughts may be elsewhere. Steve Kean’s men have recorded back-to-back victories over Wolves and Sunderland, and are actually on the verge of potential safety, five points ahead of Bolton and the dropzone. An away win would see the Lancashire club move on to 31 points, and may well mean that the relegation battle is between four teams not five. Owen Coyle has a difficult task in focusing his team for the game at the Reebok Stadium, and will hope that his players will use the ex-England under-21 international’s plight as motivation rather than a source of sorrow and pity. Muamba has shown incredible fighting spirit this week; his football team must do the same this weekend. With Blackburn’s 2-0 win over Sunderland on Tuesday night, the Lancashire club have made a massive step towards Premier League safety. Rovers sit six points clear of the relegation zone, a feat that should not be underestimated after their dreadful start to the campaign, and are now in pole position to maintain their top flight status. Steve Kean was a sure thing to get sacked earlier this term, but the Scot has kept his job, and maybe the club in the division. The abuse and criticism that Kean received over months whilst Blackburn were in the bottom three was unrelenting and merciless; a lesser manager may well have walked away amid the constant slating. 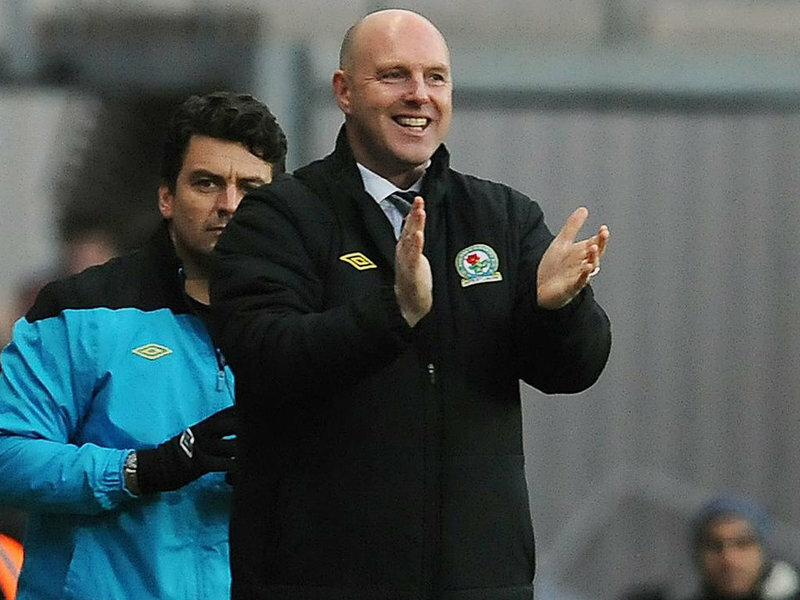 Even the Ewood Park fans turned on Kean, and the bookmakers were defied when Kean did not lose his job. However, the Blackburn side that stepped out against Sunderland in midweek exuded confidence and were good value for their 2-0 win over The Black Cats. Junior Hoilett continues to impress, whilst Yakubu has been a revelation at Ewood Park this term – the pair scored a goal each in the second half to confirm a well-deserved win. However scoring has not been Blackburn’s issue this term; only the top five clubs in the division have hit the net more than the Lancashire side. Plugging a defence that has conceded 60 goals during the campaign, the second most in the Premier League, has been Kean’s chalenge and would decide the team’s fate. The win over Sunderland was Rovers second clean sheet in a row and it appears that Kean has managed to get the best out of his youthful rearguard. Errors that blighted the first-half of the season, although not completely eradicated, seem less frequent and the defence seems to be more confident; an obvious side-effect of Kean’s tutelage. Blackburn’s mini-turnaround at the back is even more impressive when you consider that a number of leading and experienced defenders have left the club in recent times. With Christopher Samba, Ryan Nelsen and Phil Jones amongst the defenders to exit Ewood Park in recent times, the side are obviously in a transition period, which takes time to fine-tune. Kean was slated in the press, by pundits and a section of the club’s own fans; now that things are looking better he must receive the praise that he deserves. With Wolves looking doomed, QPR having lost five of their last seven games and Wigan and Bolton still inconsistent, Rovers are on the verge of survival; well done Steve Kean.